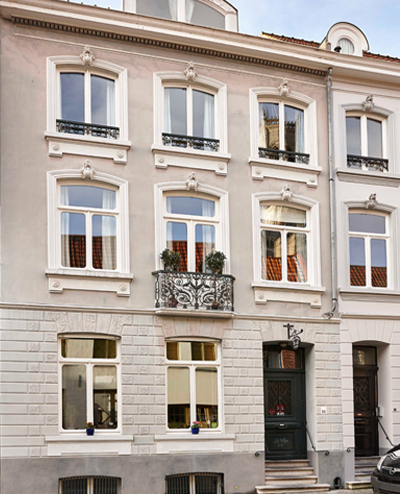 The guesthouse SintNik is located in a quiet street just a stone’s throw from the Belfry and the Market Square. At the end of the ‘Sint-Niklaasstraat’ you arrive in the ‘Steenstraat’ via a pedestrian crossing. This street is the biggest commercial street of Bruges. At the other end of the street you arrive in the ‘Oude Burg’, the street just behind the Belfort Tower. 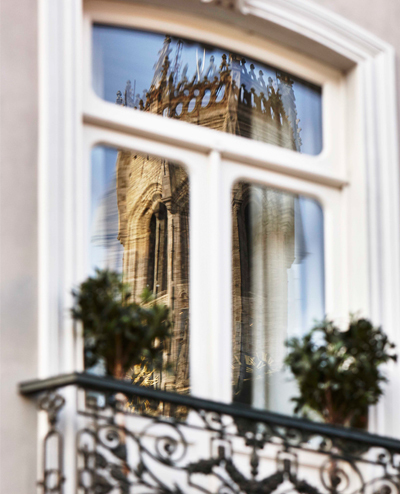 B&B SintNik is ideally located to discover by foot the cultural heritage of Bruges, enjoy the many restaurants, shops and beautiful canals. If you arrive by car into the ‘Sint-Niklaasstraat’ it is advised to enter Bruges via the Katelijnepoort, follow the Katelijnestraat, Mariastraat, Oude Burg and then you will arrive in the Sint-Niklaasstraat which will be on the left. 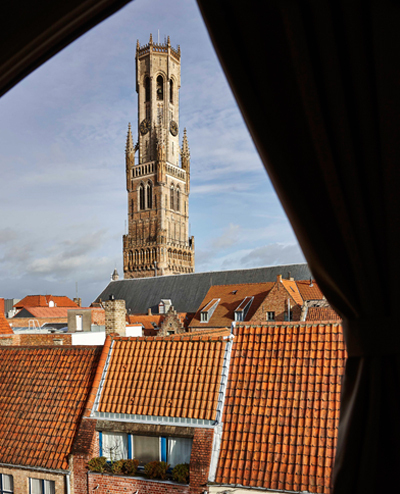 We recommend you to make use of one of the public car parks in Brugge. The two closest ones are "Pandreitje" and "Zilverpand". The daily rate is €9. It takes a 15 minutes walk to get from the railway station to the B&B. Furthermore there is a bus stop on the Market Square, just 150m away from the guesthouse.